And I believe the flashy graphic and strange goings on with the cartoon is space craft seperation. Tracking of SOLAR-B / M-V rocket from Masuda tracking station has been ended. Tracking of SOLAR-B / M-V rocket from Uchinoura tracking station has been ended. 202 seconds after liftoff, third stage nozzle has been extended, and third stage motor has been ignited. 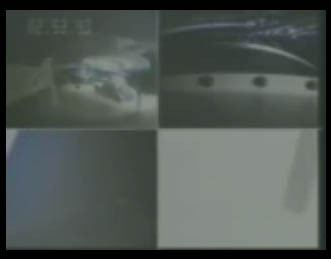 200 seconds after liftoff, second and third stages have been separated. 186 seconds after liftoff, nose fairing has been open and jettisoned. 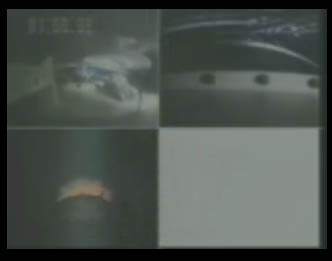 75 seconds after liftoff, first stage has been separated, and second stage has been ignited. At 6:36 AM(JST), Sep. 23, 2006, M-V rocket No.7 has been launched from Uchinoura Space Center. Didn't I see on the broadcast that spacecraft separation confirmation won't come until 7:40 JST (22:40 UTC)? Perth station in Australia captured the signal of SOLAR-B. http://forum.nasaspaceflight.com/forums/thread-view.asp?tid=4510&start=1 for the launch video replay. Any new designation for the Solar-B? "Santiago Station tracked SOLAR-B satellite, and confirmed satellite separation and solar panel deployment. M-V-7 vehicle has succeeded in orbit injection of SOLAR-B satellite." So it looks like a successful launch. 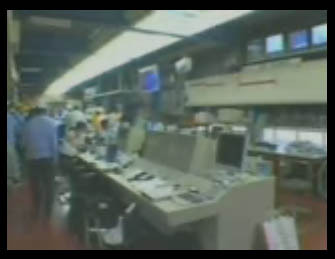 We'll just have to wait for more news about its health and the instrument checkouts. name may be 'Hihode'. I don't know what it means. Any news about the two other payloads, in particular the solar sail ? For those wondering when the MV replacement would be operational, according to this link http://www.spaceflightnow.com/m5/solarb/ in 2010 a new rocket will be ready. Space aeronautics research and development mechanism, 2006 September 23rd 06:36 (the Japan standard time), from the Uchinoura outer space observatory the 22nd number scientific satellite (SOLAR-B) the M-V rocket 7 which is loaded the machine (the M-V-7 number machine), launched 82.0 degree at launcher setting angles of elevation and azimuth 149.3 degree. 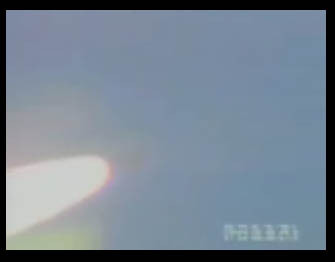 The M-V-7 number machine flew normally, after the 3rd step motor burn out, verified that it is thrown to height approximately 280km, apogee high-level approximately 686km and tracked inclination 98.3 degree. In addition, the signal reception from SOLAR-B was started, at 07:21 (the Japan standard time), SOLAR-B was separated from the rocket by this signal, the solar paddle (PDL) verified that it is developed normally. Profound gratitude is displayed in the related each direction which cooperates to the latest M-V-7 number machine launch execution. Comparing with the table of hiragana transliterations I believe the name may be 'Hihode'. I don't know what it means. minutes of the command. Solar Array output was reported above 100%. So no news from the solar sail experiment ? 2006 at 21:36 GMT, aboard the seventh in JAXA's series of M-V rockets. protective doors and successfully commenced test observations. the satellite have been completed. taking engineering test images and performing focus adjustments. investigating measures to overcome this issue. preliminary spectral image is shown in attachment 3. Figure 1: SOT First Light image. Figure 2: An image of the sun's corona from XRT. Figure 3: First Light results from EIS. Reference images for Figure 2: (1 and 2) Full-disk solar images from XRT. (3) Comparison between Hinode/XRT and Yohkoh/SXT coronal images. sun in all directions at speeds of almost 1 million miles per hour. prediction of damaging radiation waves before they reach satellites. the Dec. 7 issue of the journal SCIENCE. through its atmosphere, or corona, into the solar wind. to change shape or reconnect. only a few jets daily. jets are a driving force in the creation of the fast solar wind." waves in the low atmosphere," continued De Pontieu. Spectacular images and data from the Hinode mission have shed new light on the Sun's magnetic field and the origins of solar wind, which can disrupt power grids, satellites and communications on Earth.